Every now and then we often see people curious to know how to develop a Blogger template, or what it requires developing a blogger template, how we can learn to develop a blogger template, What are the skills needed by a person to code a proper blogger template? Being a template developer myself it takes a lot of things to create a perfect design that is not only up to the need of your client but also satisfies his users. So, those who are looking for answers to all these questions then today in this article, we will be answering your all questions and more importantly will focus on What Skills are Required to Develop a Blogger Template. First of all, it is important to know what actually a template is. A template is a one page system that is used to create multiple pages with same set of design. It is possibility allowing you to display a large set of content with similar looking scheme. A Blogger template also uses same technique and in blogger things are pretty much the same. To become a Blogger Template developer you need to know a few set of web developing languages because without knowing them you cannot create or develop a template from scratch. Following are the set of web developing languages you need to learn first. 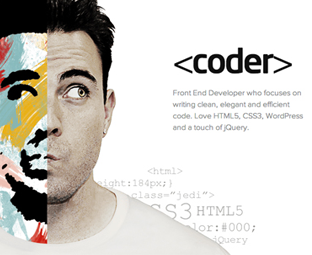 HTML Language: You least need to have command over HTML or newest HTML5 because the whole template revolves around it. This can be learned by doing different free or paid courses online. However, I would recommend you to start learning it from w3schools.com because they have comprehensive information about it. CSS Language: CSS or Cascading style sheet, it is used to describing and formatting of a webpage. Without CSS, a page would be so dull there is certainly possibility then even if you are master in HTML and you don't know CSS then you remain unable to develop a quality template. XML Language: Blogger doesn’t support PHP, you can read more about the limitations of blogger. However, to function it uses XML language so to be create a blogger template you should also have least average skills on this language as well. Photoshop Skills: Every professional designer or developer first creates a design of his template on Photoshop and once he is satisfied with its quality, he converts it to a template. Therefore, it is also essential for you to learn Basics to advance Photoshop to call yourself a professional. Once you got command in the things mentioned above, nobody could stop you from developing a real quality professional blogger template. Do let us know, if we have missed any point. What are your thoughts about it, are you a theme developer as well then please share your quality opinions in comments below. +Syed Faizan Ali i request you to give a complete guied the this i know HTML and CSS and also little bit XML and JS. Anyway informative article for every bloggers. This post is an initiative to what you asked. bro i want to put a chat room 99 chats on my blogger pages plz suggest where i edit in blogger i have third party template. Could you let us know how to display last modified date on each blogger posts instead of published date? Don't forget to answer after approve this comment. We will soon write a tutorial on this topic.